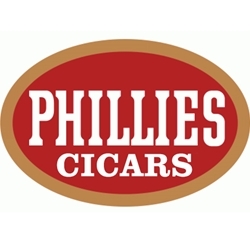 Phillies are classic American machine made cigar and blunts, originally created in 1910 by Bayuk Cigars and handmade in Philadelphia, Pennsylvania, from which the brand name was taken. Since its beginnings, Phillies cigars and blunts have become a household name, specifically designed for the demands of smokers who want a low-cost but high-quality discount machine made cigar. Each one of these amazing gems are constructed using a silky-smooth blend of all natural Dominican and Honduran tobaccos with a refined sheet wrapper and binder. With a sweet and strong aroma of flavors Phillies machine made cigars are a perfect choice to enjoy with a smooth glass of brandy or scotch. For generations, cigar connoisseurs and even novice smokers have craved these machine made cigars and blunts from Dutch Masters. They are of excellent quality and come in a wide variety of sizes and flavors. Here at Smokers Discounts we made it easy and affordable to buy cigars online. Call us for more details!